Around 268,000 people living in the UK today have been diagnosed with bowel cancer. But it doesn’t just impact the person diagnosed. It affects families, friends and colleagues, doctors and nurses, scientists and researchers. That’s millions of people right across the UK. 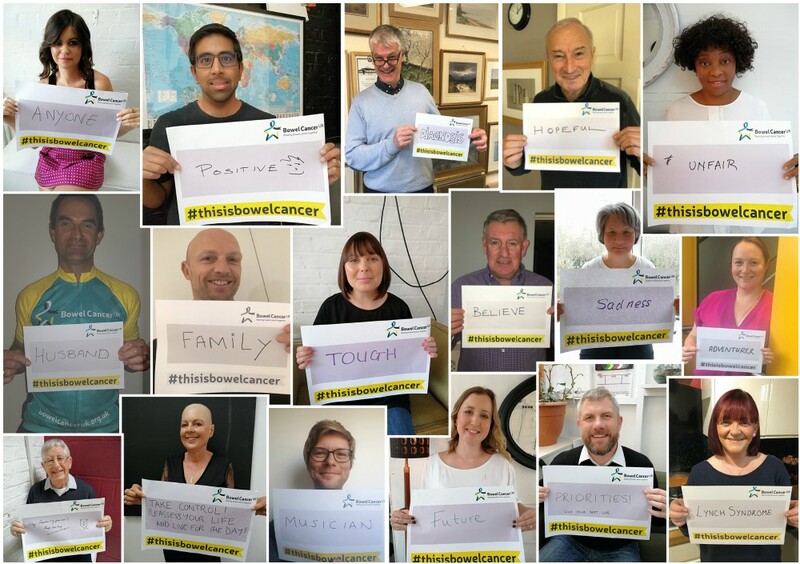 We want everyone affected by bowel cancer to come together and take action to help create a future where nobody dies of the disease. Your word could be your hobby or your job or a way you describe yourself. It’s up to you.